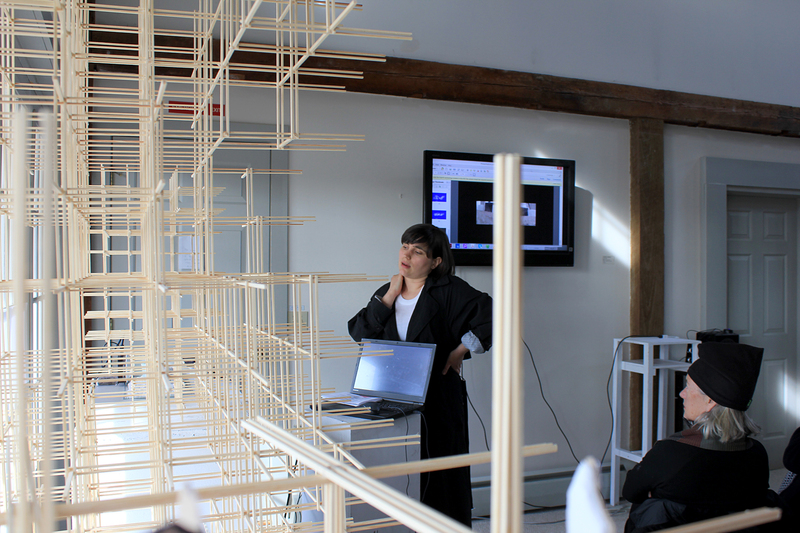 These final presentations led by critic Justin Davidson give the 10 participants of the Art Omi: Architecture Residency an opportunity to pin-up and show their projects at the conclusion of the two-week residency. The public is invited to a critic-led conversation, and see the early stages of the thinking and design process of making architecture. The reviews are arranged into two sessions, one in the morning and one in the afternoon with a lunch break in between, where the public can grab a bite at the café. Following all the juried presentations, everyone is invited to enjoy a reception with conversation, snacks and refreshments, and get to know the 2019 Architecture Residents. Art Omi welcomes the public to its events and grounds free of charge. Click here to learn more about the 2019 architects-in-residence.